This month, I had the pleasure of attending the HL7 FHIR Applications Roundtable at Duke University. As an MD that recently defected into the software world, I'm going to take a few paragraphs to briefly explain the significance of HL7 and Fast Healthcare Interoperability Resources (FHIR) to my non-technical friends and medical school colleagues. In the late 1980’s, healthcare data, like all other data, had begun slowly migrating from notepaper to computers. As the years went by, the amount of medical information we could store and study digitally was increasing at an incredible rate and it slowly became possible for software to perform the next logical step: to study the metadata of the human disease state. The conclusions that could be drawn from studying this meta-data were invaluable in a medical world that was meanwhile steadily gathering momentum towards evidence-based medicine. As medicine became more and more data-driven, people began dreaming of a world where healthcare was as fluidly connected as the World Wide Web. To fulfill this vision, however, healthcare software needed to speak a more universal language so that data from one application could easily be retrieved and interpreted by another. Coming up with a common vocabulary was a very difficult task in the healthcare field, because medical knowledge (often said to be a bit more of an art than a science) is as nebulous and contextual as a human body itself. But over time, the health informatics community has progressed closer to this goal. Five years ago, HL7 introduced its new data standard called Fast Healthcare Interoperability Resources (FHIR®). It leverages the same kind of modern web-based suite of API technology used by applications like Twitter and Facebook (including a RESTful protocol, JSON/XML,OAuth). The roundtable was an exciting preview of the power of interoperability. The conference spanned two days with 39 presentations on various health informatics software using HL7 FHIR. Most of the applications presented fell into roughly four different categories. First, there were personalized health records apps. These apps were built for patients and were variations of the same basic principle: to make patient’s personal healthcare information more centralized, accessible and trackable. Second, the roundtable also highlighted apps as extensions of EMR software. These applications ran tandem to an existing EMR and allowed providers to perform additional functions on data records, such as plot a newborn baby's bilirubin levels and compare it to normal curves. Third, there were application-building sandboxes and FHIR-based libraries. These projects aimed to make it easier for third-party developers to build applications that depend on healthcare data. Finally, there were clinical research-related applications. These were designed to solve current problems in gathering clinical research, such as enrolling patients into clinical trials or making it easier to gather data from enrollees. One of the demonstrations I enjoyed the most was the presentation for Applicadia, founded by Richard Esmond. It uses a natural language voice-driven clinical reporting platform for FHIR, with real-time CQL based clinical decision support. What that means is a doctor could speak into a microphone and his/her spoken words would be mapped in real-time to healthcare problems already encoded as validated data input, as shown here: https://vimeo.com/123649096. Another project with particularly interesting and far-reaching applications was a project titled Synthea. Synthea is an open-source project led by Jason Walonoski with collaboration of many people from around the country. It creates simulated patient data via a finite state machine. A user can generate realistic patients with simulated medical history based on real population data. The simulated patients can undergo cycles of life, death, disease, and even marriage (a child born to a synthetic patient has a mother and father drawn from other synthetic patients in the population database). Such synthetically generated patients are pretty cool for a couple of reasons. One, it's very useful to have sample data that’s free of any HIPAA red-tape for building and testing medical applications. 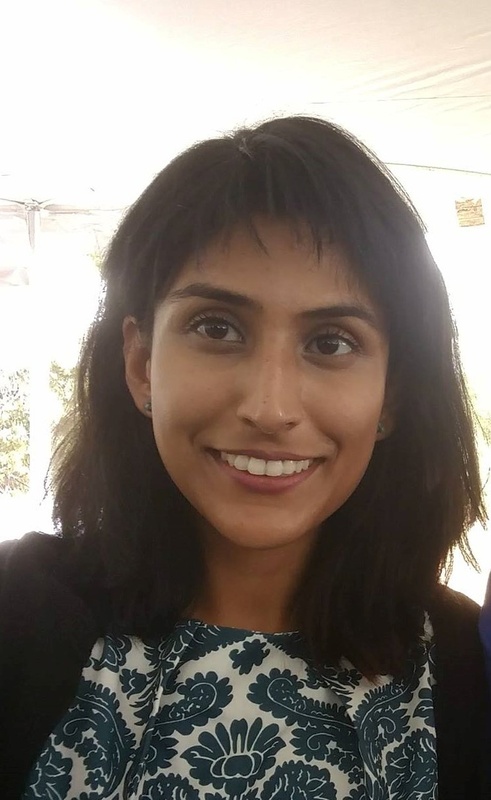 Two, a well-simulated patient population could be used to study the public health consequences of environmental factors like insurance, public policy, and socioeconomic factors that have population-level health effects. Some presentations addressed problems of particular interest in public health. Mark Braunstein presented a FHIR-based death reporting app developed for the CDC by Professor May Wang at Georgia Tech. Right now, death certificates at large, understaffed hospitals are filled out by busy clinicians who often haven't even seen the patient. Specifying the cause of death is a bit complicated because the underlying illness is usually distinct from the specific event that ends up killing a patient – for instance, a person suffering from aggressive lung cancer could end up dying of sudden cardiac arrest. This app was designed to simplify the process of filing and submitting death certificates for clinicians. It is also intended to make the data more accessible to government entities, like the CDC, that need this information to keep track of population health factors. While many presentations from the week focused on patient or clinician end-users, some reimagined the future of precision medicine research. SyncforScience, presented by Joshua Mandel from Harvard University, is a project coordinated by the NIH that allows patients to access their health data and send it to researchers with just a click of a button. The process is reminiscent of how your browser sends its crash reports to Google so that it can use your anonymized data to improve its software. Similarly, you could help the common good by contributing your healthcare data to the vault of patient information that researchers rely on in order to better understand our genetic predispositions to disease and drugs. Attending this year’s HL7 roundtable conference was a fascinating insight into the world of healthcare informatics. In the last several decades, the gaze of medicine has broadened as it's scientific objectivity has come to depend on the wealth of data that exists alongside the patients themselves. I am optimistic that in this future defined by precision medicine and personalized healthcare, we will also be capable of providing better health outcomes for populations as a whole. 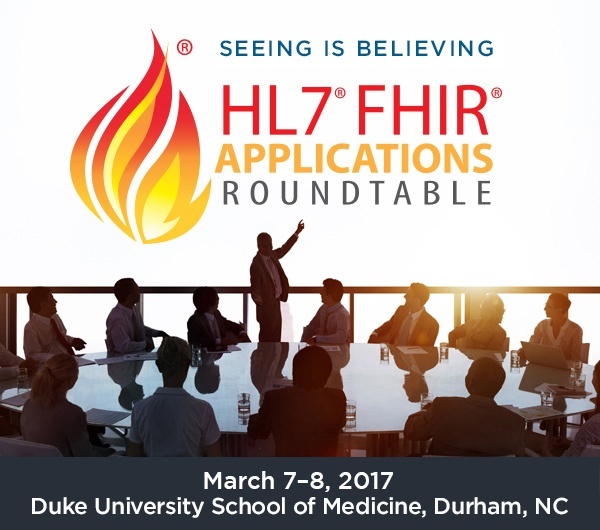 For more information about the HL7 FHIR Applications Roundtable, please visit: http://www.hl7.org/events/fhir/roundtable/2017/03/.